Not surprisingly, I took tons of pictures throughout the entire whirlwind wedding weekend! However, I made a conscious effort to also put my camera down and just experience all of the fun and excitement. Huh? What is that all about??? I’ll get there, I promise! Friday night began with a quick practice ceremony followed by a beautiful rehearsal dinner where families intermingled with friends and everyone dug into an amazing meal while listening to funny and sweet stories about the bride and group. The party went so late that not everyone was able to keep their eyes open. I was up pretty early Saturday morning to do a quick strength session with a friend in the gym. Then I was all dressed up and ready to go for Best Man speech filming. The best man made a hilarious How I Met Your Mother style video with the bride’s brother playing their future daughter and myself their future son. 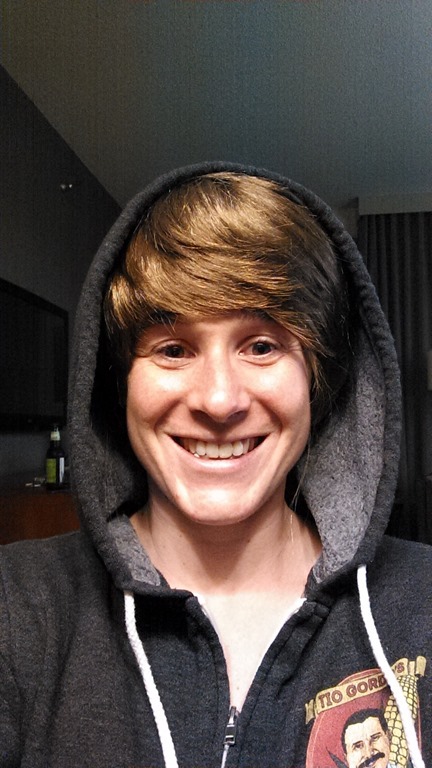 We were so convincing that some people didn’t even know it was me : ) It must have been my awesome Justin Bieber wig! 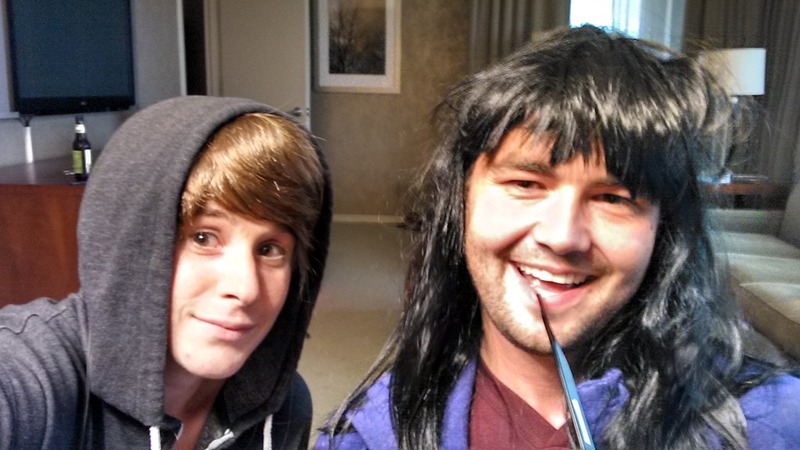 The hardest part was keeping this picture a secret until Saturday night when everyone would see the video. 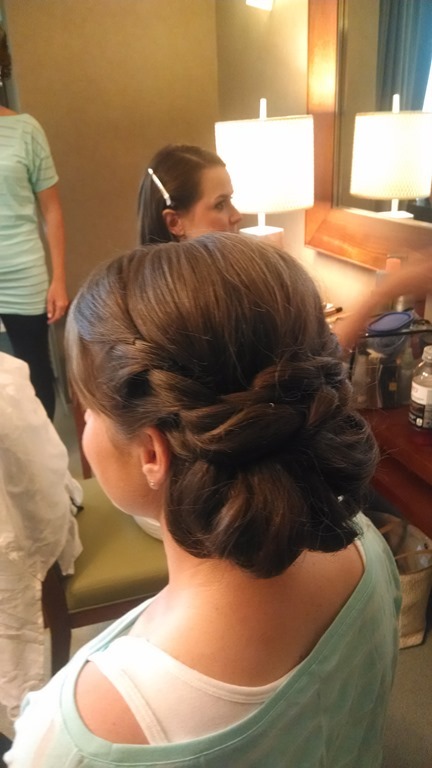 I followed the smell of hairspray to the bridal suite where all of the ladies were getting ready. It was a fun morning of gossip, mimosas, pearls, hair, smiles, and fake eyelashes. Then it was time to change into our dresses for pictures and the first reveal! 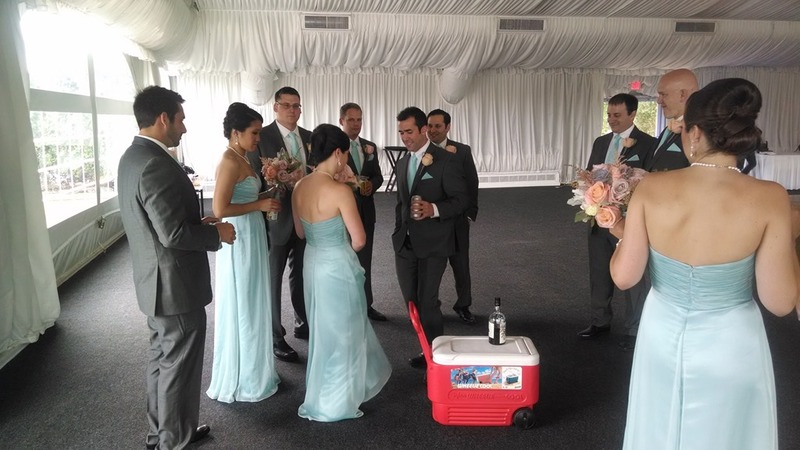 We also bumped into the crew of groomsman and ushers, who brought along with them a handle and a cooler. I also found the BOY! And all of the littlest attendants! Family photos went quickly and then it was on to the ceremony, cocktail hour, and the grand entrance of the bride and groom! 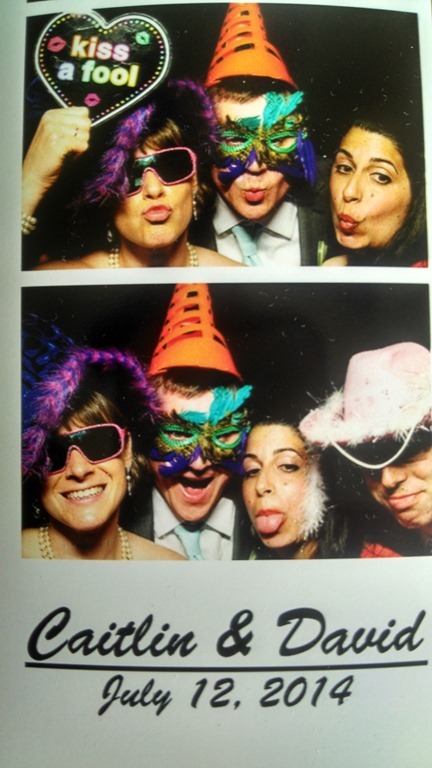 Followed by dinner, speeches, the photo booth, and TONS AND TONS of dancing! I had a wonderful time catching up with our out of town family and friends and dancing in my flip flops with my super long dress knotted at my knees. And after a few bites of pizza, it was finally time for me to find my way up stairs and crash in my bed (bobby pins and all)! Sunday morning, my parents hosted a lovely brunch and BBQ in their backyard. It was fun to share stories of the previous night and spend some quality time with my cousins before they headed back to NY. There was also time for a much needed afternoon nap! I don’t think that things could have gone more smoothly! My brother and sister in law have a strong support system of family and friends who were more than thrilled to celebrate this special weekend with them! And while the rest of us headed back to work and the real world this week, they are luckily enough to be recovering from this past year of planning in the Caribbean! Fun! Love the wedding colors! Your ability to go from Justin Bieber to a gorgeous lady is amazing. AHAHA. Thanks…I could win a makeover show…ha ha!